Explanation: Janus is one of the stranger moons of Saturn. First, Janus travels in an unusual orbit around Saturn where it periodically trades places with its sister moon Epimetheus, which typically orbits about 50 kilometers away. 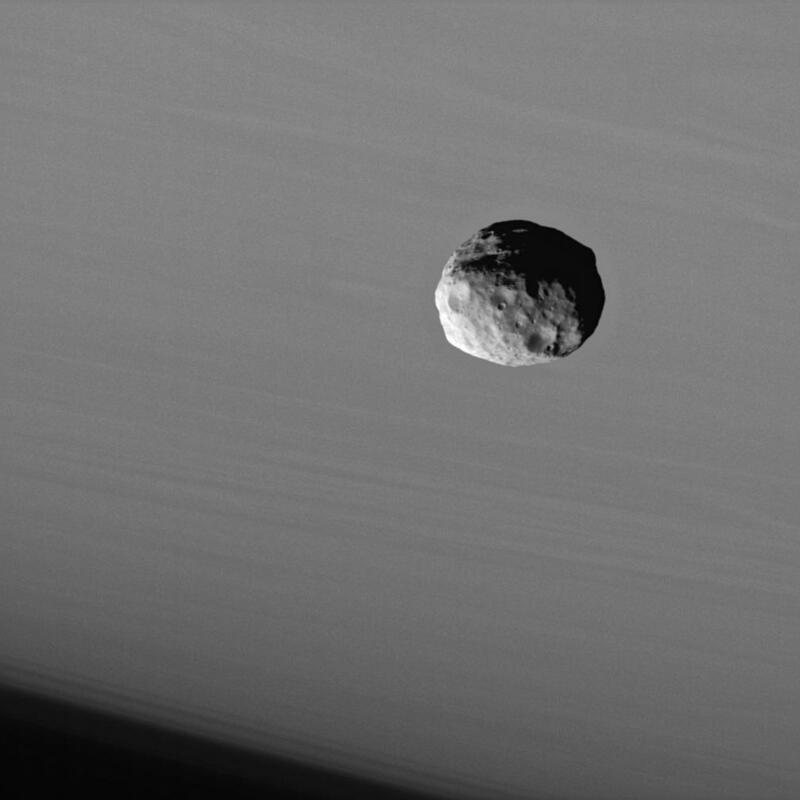 Janus, although slightly larger than Epimetheus, is potato-shaped and has a largest diameter of about 190 kilometers. Next, Janus is covered with large craters but strangely appears to lack small craters. One possible reason for this is a fine dust that might cover the small moon, a surface also hypothesized for Pandora and Telesto. 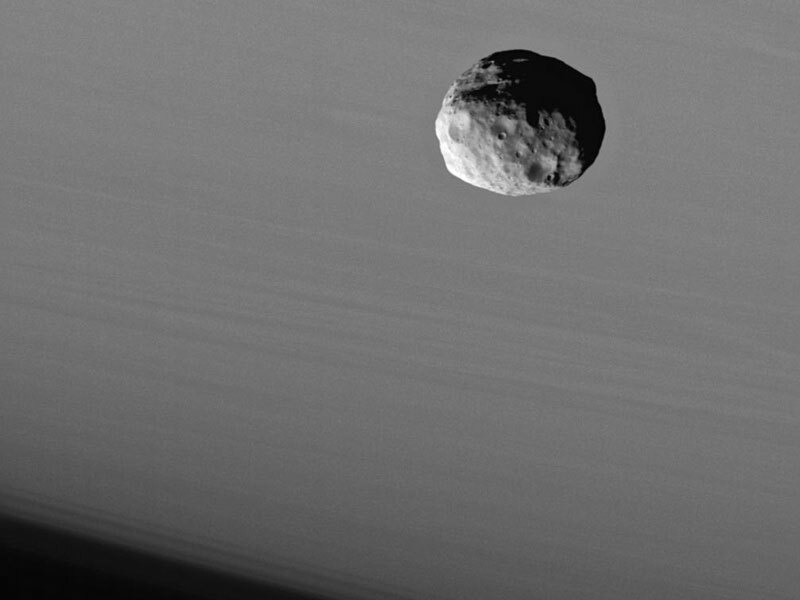 Pictured above, Janus was captured in front of the cloud tops of Saturn in late September.